The meat and cheese tray is always a big hit at my family gatherings. 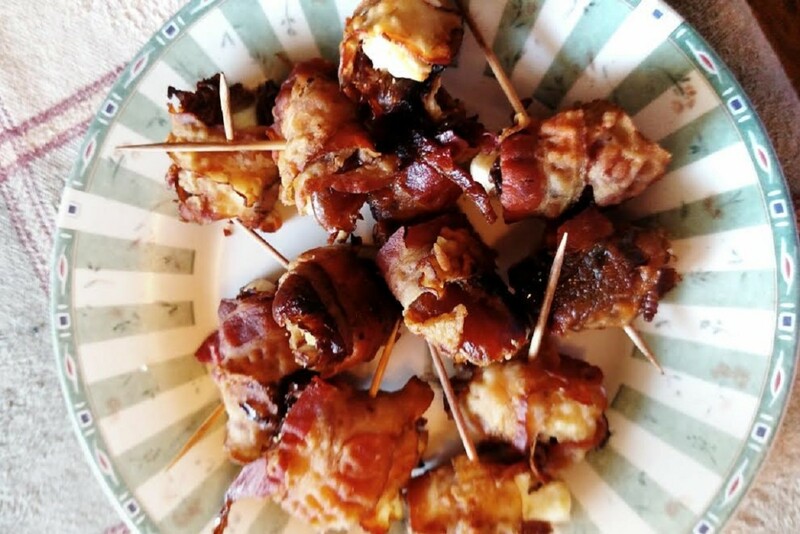 If you want a fancier take on this classic, get some little kabob skewers or picks and put a few cubes of cheese and slices of meat on them. You can use various chunks of cheese you have cut up and pre-sliced pepperoni and salami that has been folded over several times. 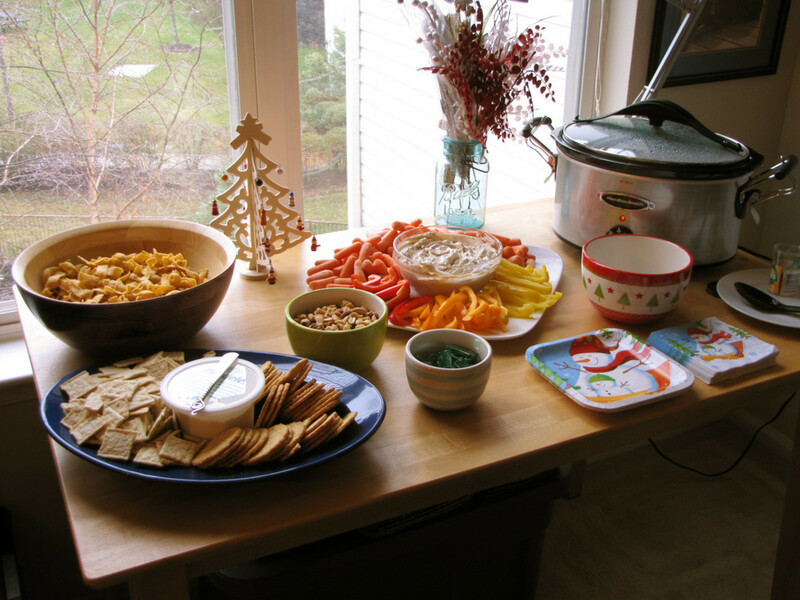 Want to make these easy appetizers for a crowd even faster to put together? Start with cheese curds and pre-cubed ham (the kind people use in breakfast scrambles). You won't have to spend time cutting or folding. 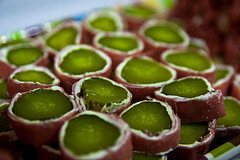 You can also add other small finger foods like olives and berries, if you like. 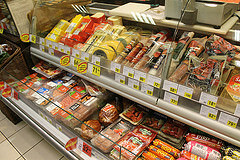 You can make as many of these as you need just by starting with a lot of cheese and meat. Once you have processed these together (just enough for the ham to be in chunks), put the dip into a bowl and let your guests eat it with crackers or chips. This recipe serves 48 people. You can double or triple it to serve even more. If you love mushrooms, you can make some easy appetizers for a crowd with just mushrooms, butter, and ranch dressing mix. Using a large crock pot, combine four pounds of mushrooms, 2 cups of butter, and four one-ounce packets of ranch dressing mix. Cook these ingredients in the crock pot on low for three to four hours and your mushrooms are done. 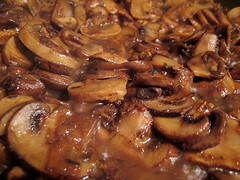 You can use many different kinds of mushrooms for this recipe, but whole button mushrooms are a good choice. Make sure when you select the mushrooms to use that you choose smaller mushrooms that are a good size for appetizers, but keep in mind that the mushrooms will shrink slightly in size as they cook. Preheat the oven to 350 degrees Fahrenheit. 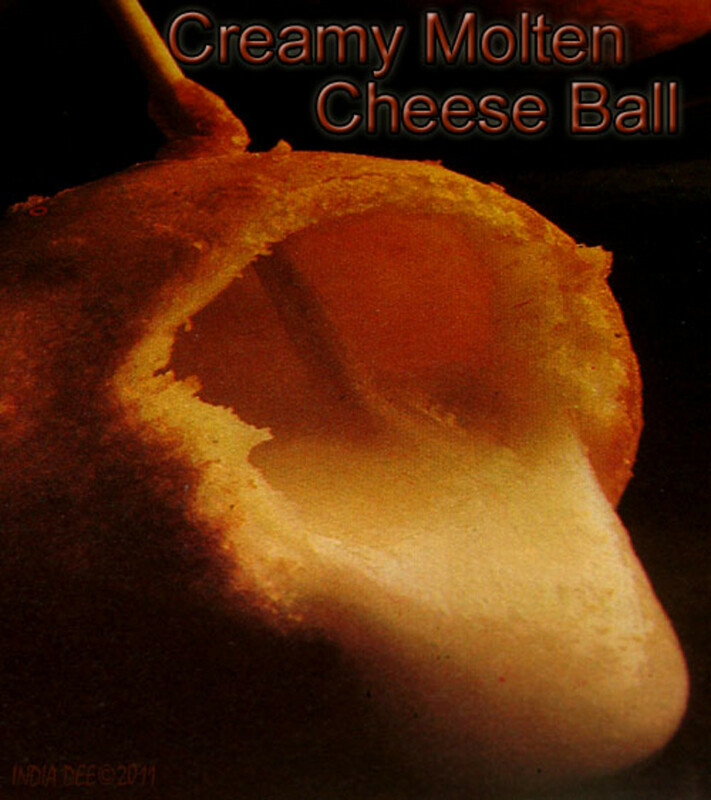 Mix together the cream cheese, cheddar cheese and mayo, and stuff jalapenos with the mixture. In a separate bowl, whisk together the eggs and milk. Put cereal in a separate bowl. Dip the peppers into the egg and milk and roll in the cereal. 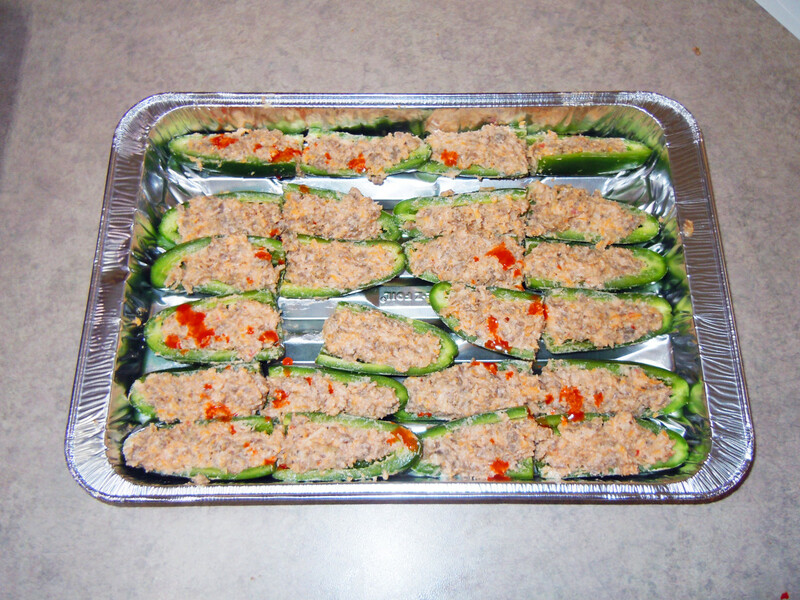 Arrange the peppers in a single layer on a greased baking sheet and bake for 30 minutes or until filling is bubbly and brown. 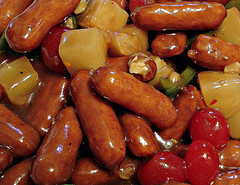 In a crockpot, combine four 18-ounce bottles of barbecue sauce, four cups of brown sugar, 2 cups of ketchup, 1/4 cup of Worcestershire sauce, 1 chopped onion, and eight 16-ounce packages of little smokies. Cook on low for 2 hours, then put these little treats out to serve. Guests can easily eat them on toothpicks for an easy and delicious treat. This recipe serves about 64 people and is one of the most easy appetizers for a crowd because you can dump everything into your crockpot and forget about it. Mini baked potatoes are really easy appetizers for a crowd. 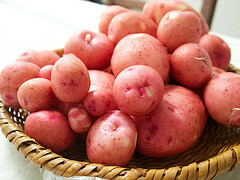 Just wash as many small red potatoes as you would like to serve, then toss them in a bowl with some olive oil and salt. Bake them in an oven preheated to 375 degrees for about 20 minutes. Remove the potatoes from the oven and let them cool slightly, then cut a small slight into the center of each and remove a small piece of potato from each so there is room but butter and other toppings. To serve the potatoes, place them on a serving tray with some toppings that guests can add themselves. 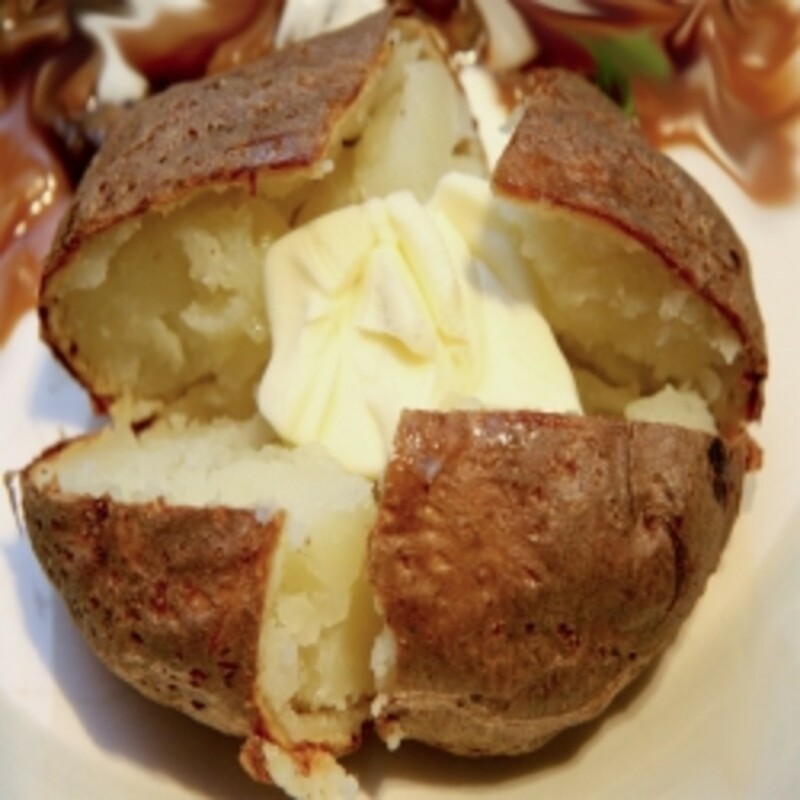 Toppings can include butter, sour cream, cheese, bacon bits, chives, chili, corn chips, and really anything else you think your guests would enjoy eating on top of a baked potato. 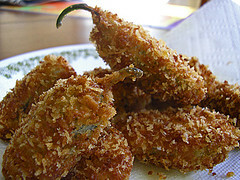 I love the idea of coating your jalapeno poppers in cornflakes and baking them instead of using breadcrumbs and frying. Stuffed peppers are always a hit at my tapas parties, so I'll be trying a variation of this at the next one! 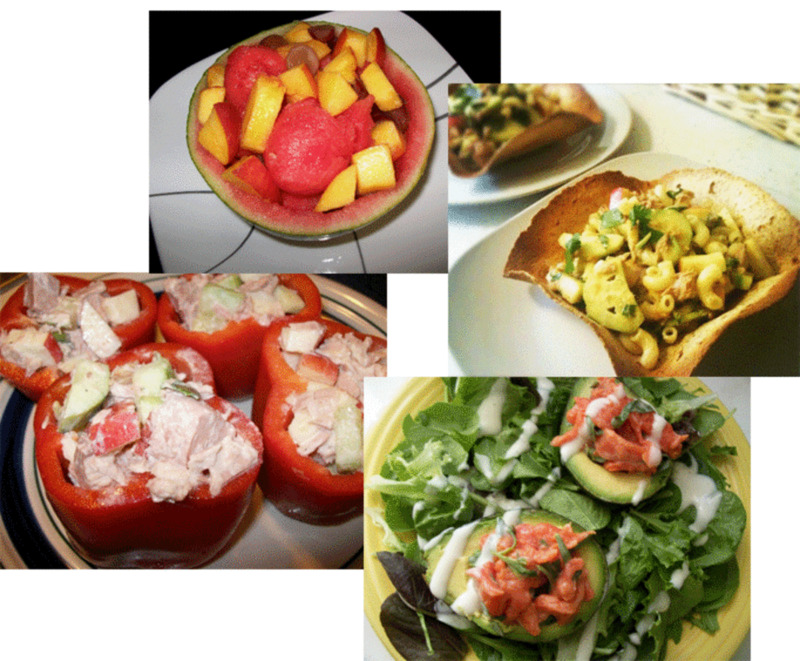 These are some great suggestions for easy appetizers . Will have to try some of to try of these. Thanks for putting this together.